New Hope Celebrates is proud to welcome our newest Partner – the Clarion Inn and Suites of New Hope. 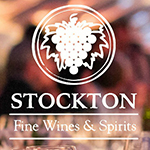 They will be our official event & accommodation partners for Pridefest May 17th, 18th, and 19th, 2019. 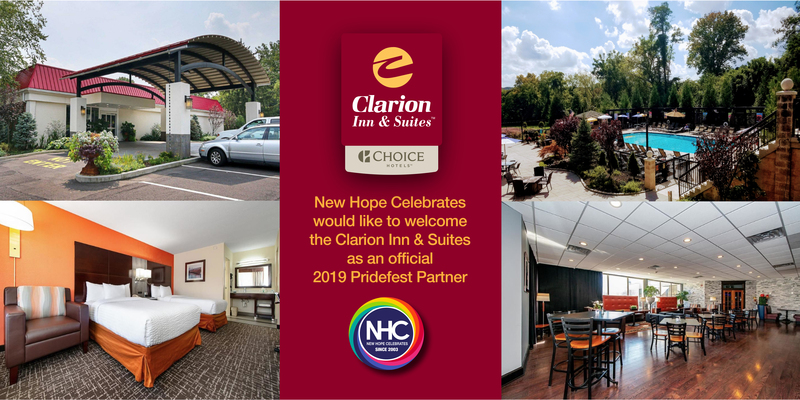 Please visit the Clarion Hotel of New Hope, PA online for PrideFest discounted accommodations. 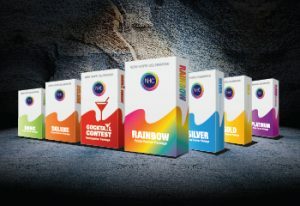 All Clarion guests will receive complimentary admission to NHC’s official PrideFest events. 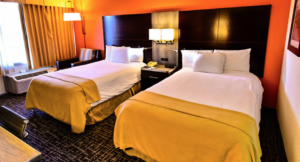 The Clarion Inn & Suites underwent a complete overhaul from top to bottom! The Clarion offers 138 amazing new rooms and full suites with all the amenities you would expect from a well-appointed hotel. The new property owners have done a remarkable job. “We are looking forward to welcoming everyone especially the LGBTQ+ community. Our warm and welcoming staff are looking forward to welcoming you to New Hope! You are sure to enjoy our cozy surroundings inside and out” said Rob Vargas, Assistant General Manager. Clarion is open seven days a week, 365 days a year. 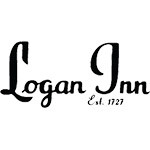 They will be the accommodation of choice for many of our Pridefest guests. Join us from Friday, May 17th – Sunday, May 20th or come earlier and stay longer if you wish. We suggest you book early as rooms will fill up quickly! 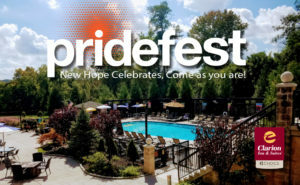 New Hope Celebrates Pridefest Sunday Funday will feature a Pool Party and Dance which will be held at their newly remodeled pool and garden area. Outside bar, picnic-style food, and dancing with DJ KRK of Philadelphia. Advance tickets will be $10 online and $15 dollars at the door. Clarion guests receive free admission. 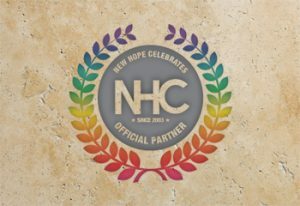 All door proceeds benefit New Hope Celebrates Pridefest. Rain or shine. 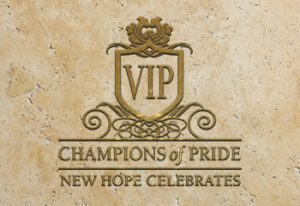 Clarion Discounted weekend packages are available and include free admission to New Hope Celebrates sponsored events. The Bonfire Bar & Grill will be open serving fabulous cocktails and a special comfort food menu. The New Artist Room dubbed the “PRIDE LOUNGE” will host live entertainment and late-night cocktail lounge for Pride. Saturday night from 7:00 pm – 9:00 pm we welcome Bob Egan & Friends with co-host by Lou Ruvolo for an Open Mic Night. Bob Egan will be playing from 7pm-9pm too! The dance party will be from 9 pm–2 am and will feature great cocktails, DJ Mikey Mo form NYC, and some other fun surprises. Sunday we welcome Liz DeFour on the piano from 3pm-7pm and our famous NHC Pride Sunday Funday Pool Party from 2:30 pm to 6:00 pm with DJ KRK Food and Fun all day so come as you are and celebrate Pride! Additional accommodations at the New Hope Lodge & the Cub room now offering extended hours, as well as great lodging during Pride. 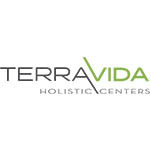 Call or visit them online to book your Pride Weekend.